It goes without saying that the first step in any marketing campaign should be to identify your goals. When you’re planning to start an influencer marketing campaign on Twitter, you should do the same. You need to figure out what the goals and objectives of the campaign are. If your goals are defined from the beginning, you’ll be able to focus on them better. You’ll also be able to measure your progress more effectively. You should figure out if your goal is to increase reach, generate leads, or boost sales. Along with these goals comes your target audience. You need to have a crystal-clear idea of who your ideal customer is. Without a target audience, you’ll won’t be able to target your campaign to the right people. To define your audience, you should identify the characteristics of your ideal customer. This should be done on the basis of their interests, demographics, and locations. This will give you a better idea of who your target audience is. You can then frame your influencer marketing strategy based on your target audience. Once your goals are set, you can start scouting for influencers on Twitter. You should look for influencers who are in your niche. For instance, if you run a beauty brand, you should find influencers who have a similar target audience. To find such influencers, you should first start by looking for hashtags which are relevant to your industry. A great way to do this is via Hashtagify. You can look for hashtags that are related to your niche and then find their statistics as well. You can start following the hashtags to see who is tweeting consistently in your niche. You should also see how well their tweets are performing by looking at their engagement. Then, you should check how many followers they have. This background check needs to be done thoroughly. There are many fake influencers out there who buy likes and followers. And fake influencer won’t do your campaign any good. It can be difficult to spot fake influencer. But with software such as Reelio, you can easily find genuine influencers. You can find reliable influencers from a variety of niches and even get their contact information. 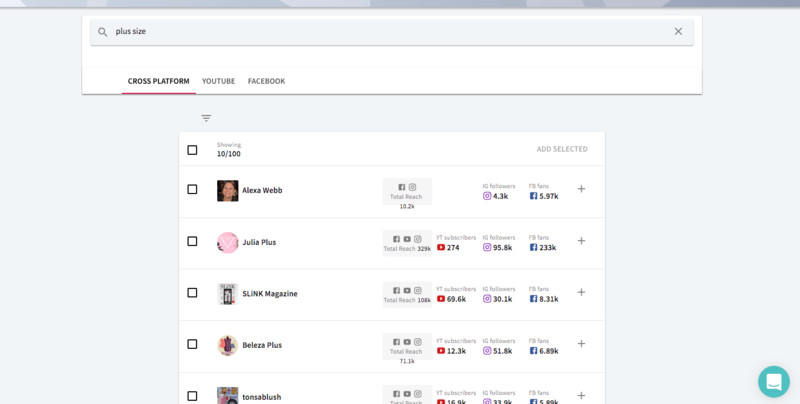 Reelio also allows you to see how your influencer marketing campaign is performing. This makes it easy for you to figure out the ROI of your campaign as well. Once you’ve identified influencers you want to partner with, it’s time to contact them. You should start by following them on Twitter and engaging in casual conversation with them. You can then show your support for their content by retweeting it. You should like and comment on their tweets regularly to show that you have an interest in the niche. You may even want to follow and connect with them on other social media platforms. Once you’ve established a good relationship with them, you can go ahead and pitch the idea to them. The trust established by the relationship you’ve developed with them will help you implement your influencer marketing campaign with ease. Your pitch should have a personal touch to it, (here’s some examples). You can commend their achievements, and show them why you want to collaborate with them. You shouldn’t jump into the specifics at first, but do mention how it will be beneficial for them to collaborate with you. You can even suggest a few ideas for the campaign and tweets along with the pitch. Once you’ve got the influencers on board, you should plan your influencer marketing strategy. You have identified your goals and approached influencers.  Now you need to plan a strategy that will help you to unleash the true potential of your campaign on Twitter. You will need to sit down and design the strategy based on several factors. First, prepare a list of all of the influencers with whom you’re in touch. You should then see if their goals and target audiences are similar to yours. Based on this, you can narrow down a list of influencers with whom you can collaborate. You can then start coming up with ideas for the campaign. You should try to incorporate the views of the influencers while designing your campaign. This helps give them a feeling of ownership of the campaign and can make them feel more involved as well. Developing your strategy should include creating a call-to-action and planning the types of posts. You can even come up with a unique hashtag for your campaign. You should research for relevant keywords that you can use to give your campaign an extra push. You should also look at your competitors to see what they are doing or have done. This can give you an idea of what has worked for them and what hasn’t. Based on this, you can modify your campaign. 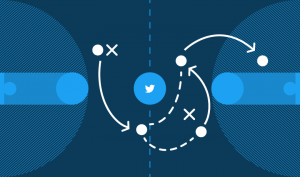 Once your strategy is ready, you can launch your influencer marketing campaign on Twitter. Remember, your campaigns should be based on achieving your goals. For instance, if your goal is to increase engagement and brand awareness, you should concentrate on getting more reach. You can ask the influencers to review your products and post about them. You could even gift the product to your influencers. The audiences of influencers are usually highly-engaged and this can help you reach a large number of people. Don’t forget to ask the influencers to tag your brand in the tweets. 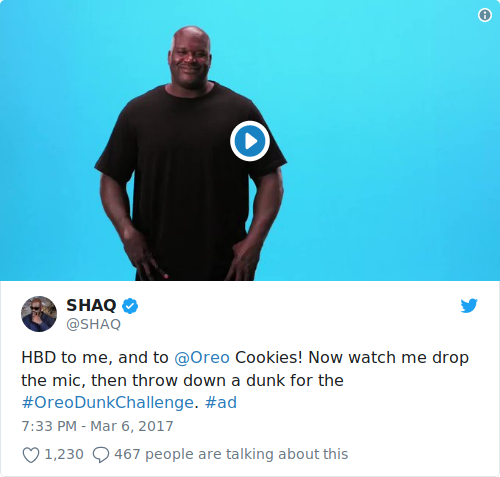 Oreo, for example, collaborated with Shaquille O’Neal in 2017 to promote #OreoDunkSweeptakes. He tweeted about the campaign and it got a tremendous response. If your goal is to generate leads, influencers should include a link to your landing page in their tweets. When the influencers’ audiences see the post, they may be tempted to click on the link. This will take them to the landing page and might get you some valuable leads. 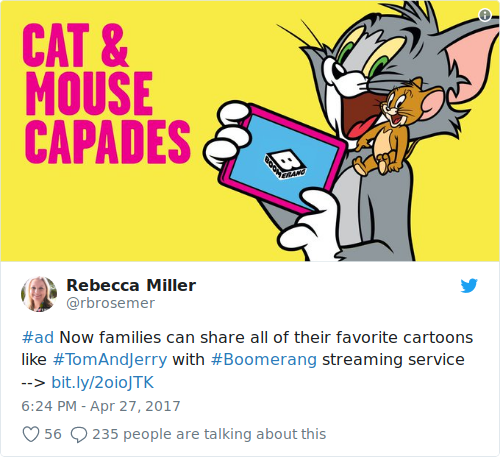 For instance, Rebecca Miller advertised about the Boomerang streaming service on Twitter. Twitter has even come up with Twitter Cards that allow you to attach your photos, videos, and links directly in the tweet. This makes it easy for the users to simply enter the information on Twitter without clicking on a link. If your goal is to sell your products, you can have the influencer include the link to the product page. When their followers see them recommending a product, they might click on the link and make a purchase. Another option is to give influencers an affiliate link. You can then pay them a commission for each sale that is made through that link. This can help motivate them to drive more sales for you as well. Once the campaign is up and running, you need to start tracking it. You should keep track of all of the tweets from your influencers for the campaign. This is important because you need to measure the impressions, reach, leads, and sales in order to determine the success of your campaign. You should follow their tweets and track the kind of engagement they get. You should also keep a track the hashtags that you’ve set for your campaign, if any. For lead generation, you can use Google Analytics to get an idea of the number of leads generated. For sales, you can easily use the affiliate link to find out the number of sales and the revenue generated by each influencer. This can give you an idea of the ROI of your influencer marketing campaign on Twitter. Twitter may not be the easiest place to start an influencer marketing campaign. However, with planning and thorough research, and collaboration with good influencers, you can succeed. What are your views about influencer marketing on Twitter? Let us know in the comments.